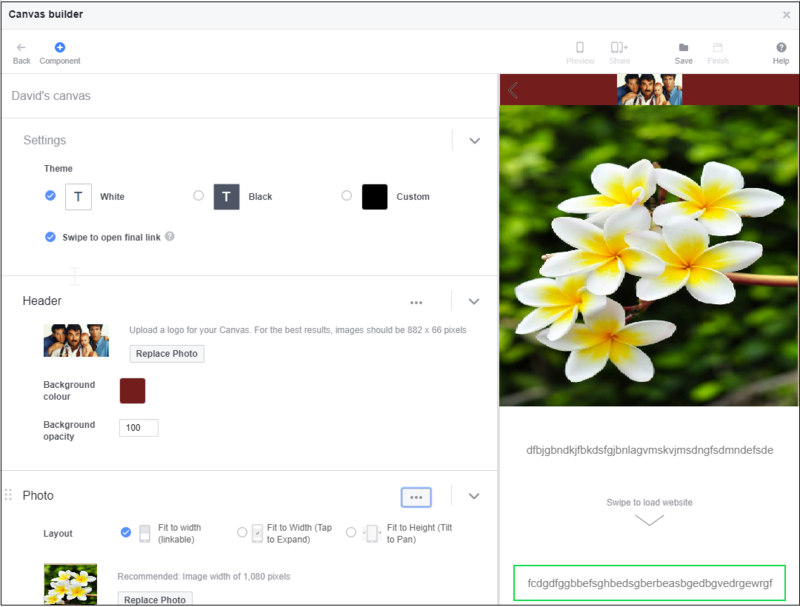 Facebook canvas ads allow advertisers to create large-form, interactive ad units that showcase images, videos and products. See here for more info. 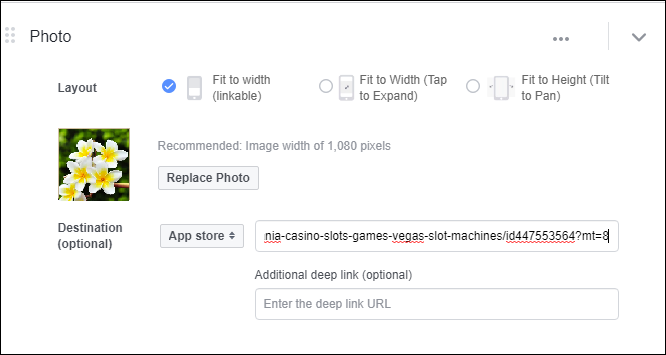 Canvas was previously used to refer to Facebook platform apps (usually games that you can play inside the desktop Facebook frame). 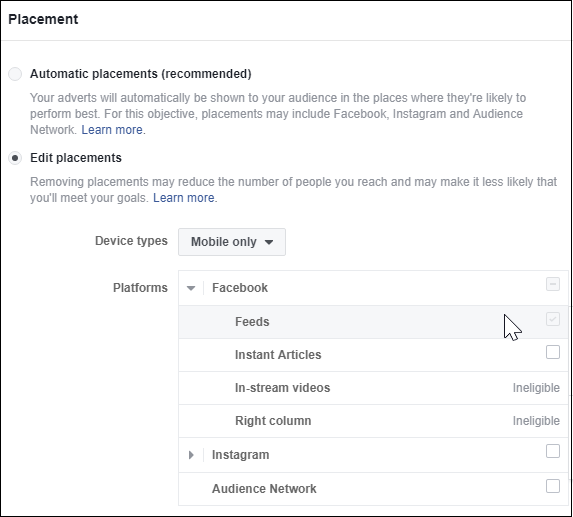 Like any ad type on Facebook, we can attribute mobile app installs that occur following a click or impression, so long as the advertiser opts-in. 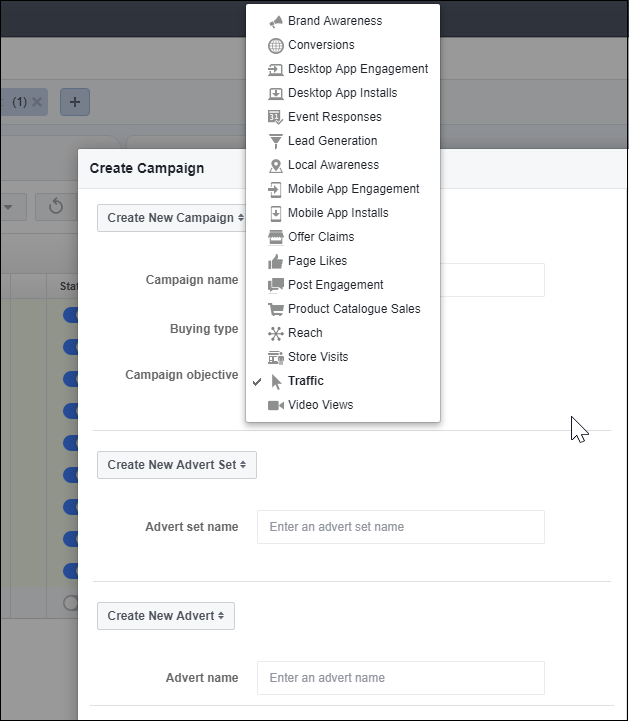 Setting up canvas ads is not an obvious process, as the flow takes place in two different interfaces from within Facebook, and requires some configuration in the campaign set-up. First, the canvas unit must be set up on Facebook page. 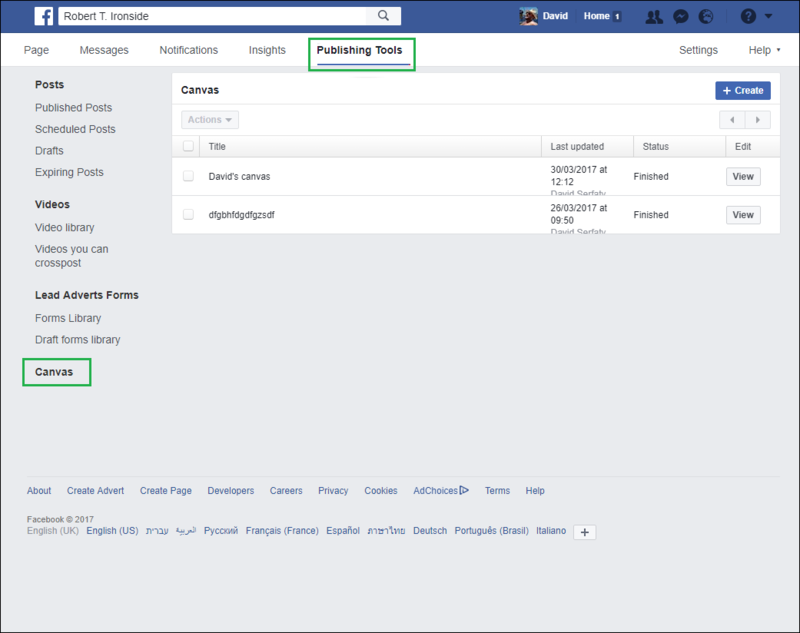 The advertiser must be logged into a Facebook account with access to the Page. Some of the elements, such as photo and button, allow the advertiser to add a click-through destination. 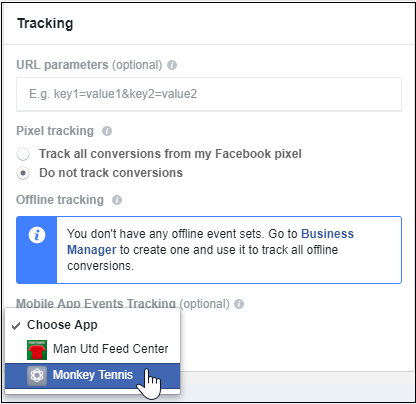 Once the canvas unit is saved and finished, go to the Facebook Power Editor as usual and create the ad, set the targeting and any other parameters you need. (Alternatively, go to your FMP tool - for which the instructions vary, so this should be checked with your FMP). In the Power Editor create a campaign with either the Traffic or Brand Awareness objective. The Mobile App Install objective is not compatible with canvas units! You can now track users who install the app from these ads.